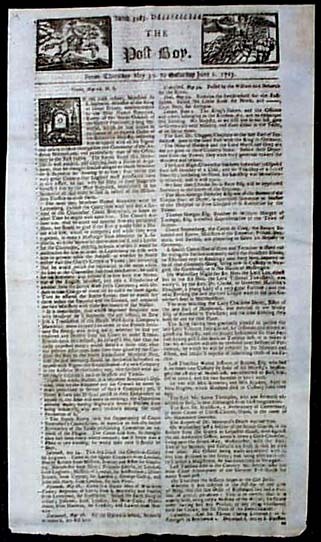 Item # 649232 THE POST-BOY, London, 1720's A lot of five issues of this early & decorative title with which great masthead featuring two engravings (see). Offered at a substantial discount. Single sheet and in good condition.